If you or a loved one has received medical treatment for injuries that were the result of a traffic accident (or other incident) caused by someone else’s negligence, you might be surprised to get a letter from the Rawlings Company demanding payment. More than likely, you’ve never heard of the Rawlings Company. However, you should take their letters very seriously. The Rawlings Company is a company used by Aetna Health Insurance to handle matters of subrogation. It's probable that you will get a subrogation notice from the Rawlings Company on behalf of Aetna any time you've seen a doctor, been hospitalized, or undergone surgery following a car wreck or other accident that wasn't your fault. Not sure if you were at fault for your accident? Read my article, How to Know Who's At-Fault for an Accident. When someone else caused your injuries, insurance companies can request reimbursements for their costs related to your health care. This is due to a subrogation clause found in many medical insurance policies. Essentially, it means because someone else was responsible for your injuries, it's the at-fault person whose insurance should pay for your medical care – and not your health insurance company. The subrogation clause allows Aetna (and, by extension, the Rawlings Company) to levy a lien against you to recover their expenses. Essentially, if you make a successful claim for compensation against the at-fault party (something you will likely do since you will have suffered greater damages than just medical expenses), then your healthcare provider is able to seek reimbursement for their own cost from your final settlement. Having a good lawyer on your side is essential in order to handle the subrogation aspect of your claim alongside everything else – and to make sure that your legal rights are protected, allowing you to keep as much money as possible from your settlement. If you or a member of your family has received a letter from the Rawlings Company regarding subrogation, be careful. Despite the fact that they are your insurance provider, it is still possible for you to divulge too much information, which could end up hurting your legal claim or costing you additional money out of your own pocket. Not everyone needs an attorney, but when subrogation gets involved, your case is suddenly more complicated. It's absolutely worth setting up a free consultation to discuss your rights, your options and the next best steps in your personal injury case. Contact the Anderson Law Firm today for a free, no obligation consultation with a board certified Fort Worth personal injury and wrongful death attorney. Contact us online or call locally at 817-294-1900. If you're not yet ready to set up a consultation, you might find this article helpful: How Do I Know If I Need a Personal Injury Attorney? 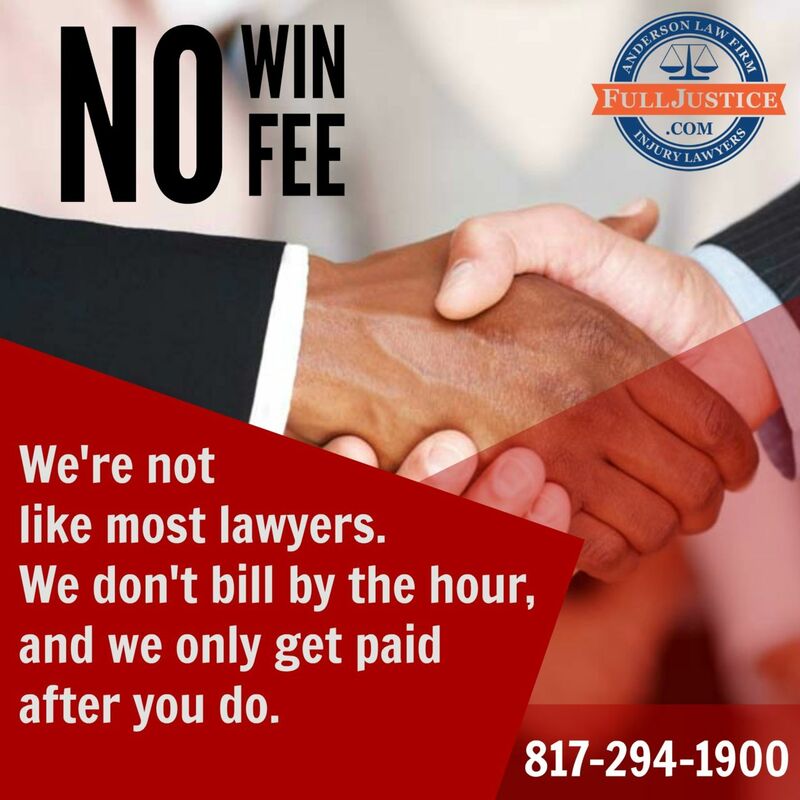 To request a free, no obligation consultation with a board certified Dallas-Fort Worth personal injury and wrongful death lawyer, please contact the Anderson Law Firm at 817-294-1900.